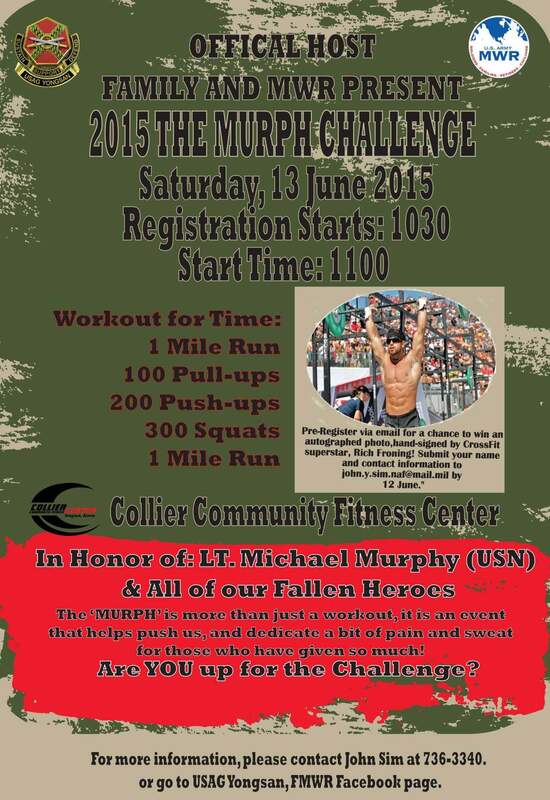 This saturday Collier field house and FTCF will be hosting the annual “murph” challenge. Almost all of us are familiar with this wod, especially those who have or are currently serving. Registration starts at 1030 on the PITT and the WOD will begin at 1100. Come out and give it your all! Note: the pull ups, push ups, and air squats can be performed in any order (I.e. doing 20 sets of 5 pull up, 10 push ups, and 15 air squats).